TWICE will be holding their second tour in May to meet their fans. 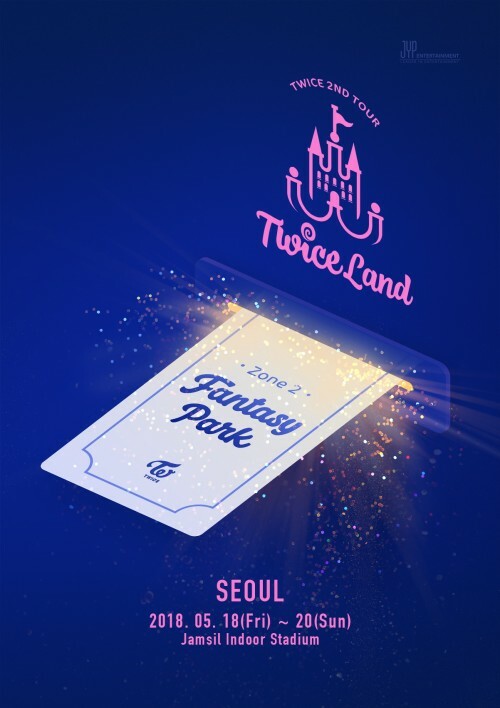 On February 19, JYP Entertainment unveiled a teaser image inviting the fans to attend their second tour "TWICELAND ZONE 2: Fantasy Park" through its official Twitter account. This tour will take place in Seoul from May 18 to May 20 for three days at the Jamsil Indoor Stadium.